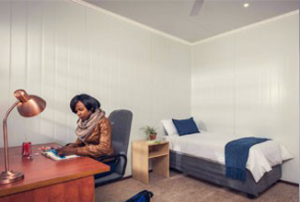 Kwikspace, a level III BEE company and South Africa’s specialist relocatable prefabricated building manufacturer, stocks and supplies single-wide prefabricated units that measure either 3 or 3.5 m wide depending on client requirements. Each unit is available in 6, 9, 12 or 18 m lengths, enabling our customers to choose the size that provides their ideal space solution. Wider units are made by doubling up 2 units on site creating a 7 m-wide building (double-wide). Single-wide relocatable units from Kwikspace are available for sale and to rent. 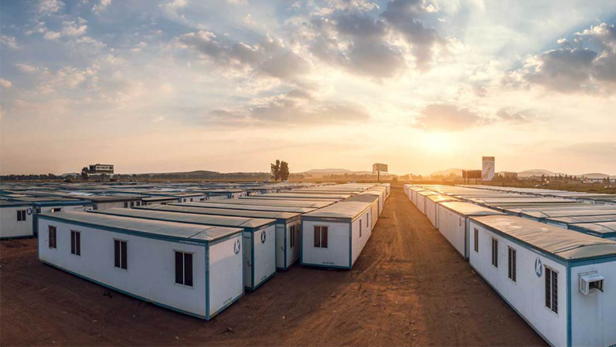 They provide the ideal space without the costs of building fixed premises and can be used in commercial, residential and industrial sectors as temporary, long-term or permanent portable buildings. As portable buildings, rented modular prefabricated structures are delivered directly to your doorstep – within 5 to 10 days. Purchased units take a little longer as they are manufactured to order, and are delivered in 2 to 4 weeks. We have 6 branches across South Africa, 2 in Mozambique and 1 in Zambia, and we supply optional extras like air-conditioning, lighting and burglar bars fitted prior to delivery. 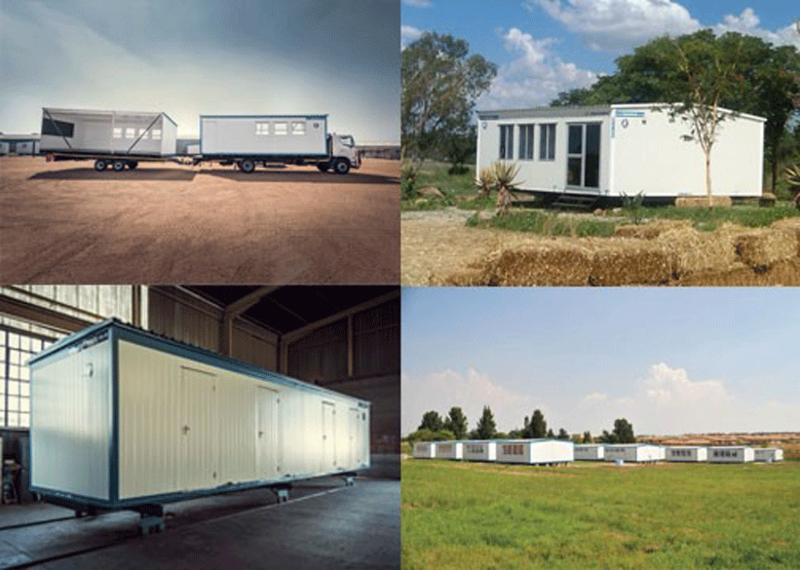 Cost-effective and suitable for any kind of space, from site offices to accommodation camps, parkhomes to storage facilities. Desks, chairs, other furniture and furnishings included on request. Easily demountable for fast relocation and re-erection. Any relocatable building can be quickly demounted and moved to another location. Prefabricated offices for use across multiple industries. They make the ideal site office, plant entry office, security hut – practically any office application. 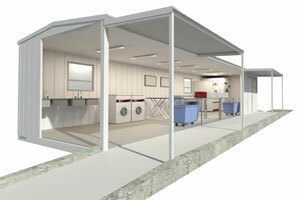 As onsite laundries they can be connected for water intake and discharge, and powered for washing machines, ironing facilities and other laundry equipment. 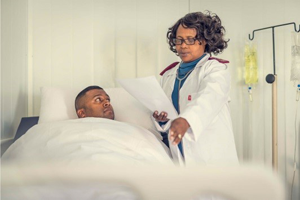 Hospitals and medical centres that need more treatment space and rural clinics that are difficult to access, single-wide units offer a minimal footprint solution. 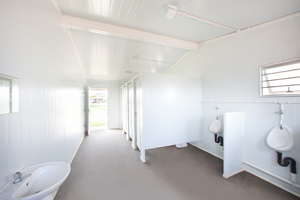 Clean, safe ablution facilities for events, remote sites, shutdowns, schools, and refurbishments. Panels used are easily cleaned, hygienic and require low maintenance. Our single-wide units are used as kitchens in schools, onsite, at events, practically anywhere. 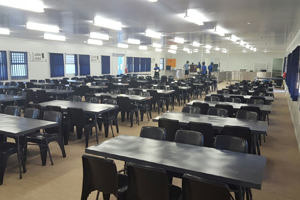 They also make the ideal temporary / onsite dining rooms for site staff. Also known by the generic name “park homes”, single-wide units are ideal for numerous industry and domestic single accommodation applications. Ideal for the mining and construction industries. Rent or own single-wide units suited to your requirements. Kwikspace single-wide prefabricated buildings provide a comfortable, convenient and cost-effective work space for any site and any application. They are used on construction or mine sites as mobile offices, prefab homes, security huts and many more. They offer the ideal versatile space on any site. We are at the forefront of technological advances in the modular and prefabricated building industry. We follow the latest developments and adapt our modular building panels to benefit our customers with the best available systems. Kwikspace has included Prefabricated Kits in its offering. Consisting of prefab buildings in kit form, these kits allow you to establish a completely customised site rapidly, and to your exact requirements, using proven prefab panel technologies. What makes relocatable buildings from Kwikspace’s superior? our products are insulated with polyurethane foam, providing superior strength and thermal properties than industry-standard expanded polystyrene (EPS). Need space quickly? Get it from Kwikspace – professionally! 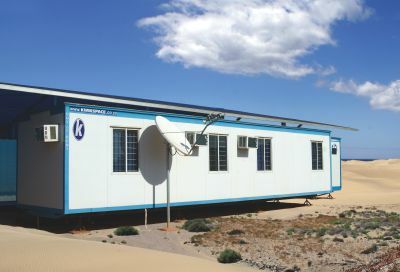 Kwikspace has the largest relocatable building rental fleet in sub-Saharan Africa and permanent modular buildings are manufactured daily in our ISO 9001:2008 factory! We can deliver rented units in 10 working days or less. Units for purchase take only a little longer – delivered to site in up to 4 weeks. Why use Kwikspace – the prefabricated relocatable building manufacturers? Speak to us about your relocatable building requirements! Send us an enquiry or call 011 617 8000.